Archeologists in Jerusalem recently uncovered two small seals—one made of clay and the other of stone—and one could offer more evidence of the Old Testament’s historical accuracy. Both were found at the City of David’s Givati Parking Lot excavation and are believed to be about 2,600 years old. 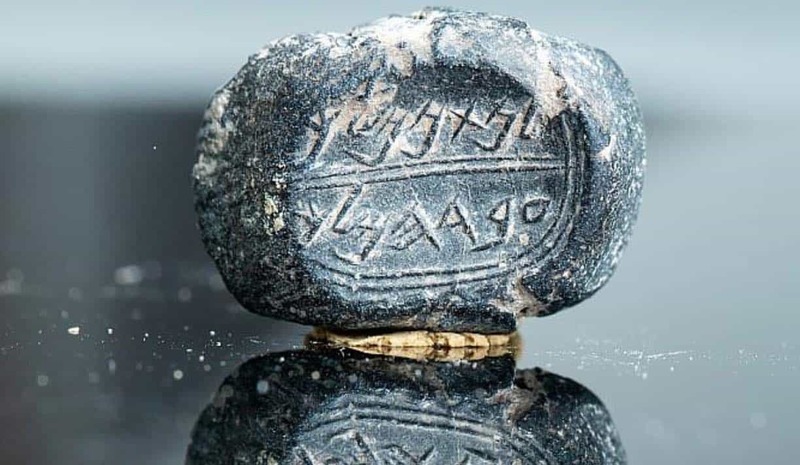 The clay seal bares the inscription “(belonging) to Nathan-Melech, Servant of the King” (as pictured in the photo by City of David’s Eliyahu Yanai). That is significant because Nathan-Melech is mentioned in the book 2 Kings, referenced as an official in King Josiah’s court. Archaeologist Dr. Yiftah Shalev told The Times of Israel, “It is not a coincidence that the seal and the seal impression are found here.” As the dig team notes, the area of the City of David was an important administrative center in Jerusalem. The findings help confirm that timeline.